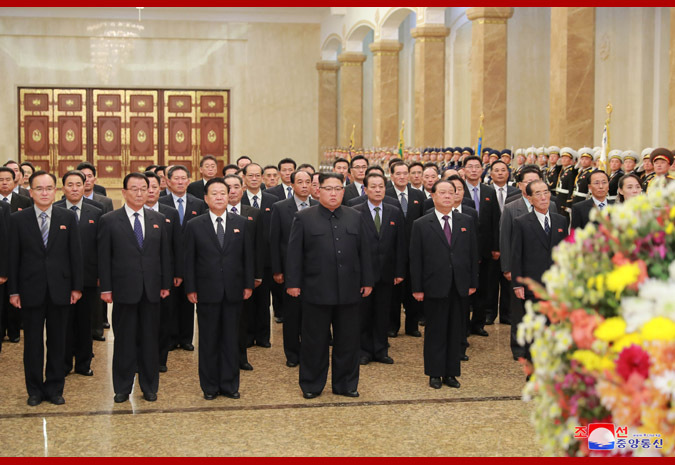 Pyongyang, October 11 (KCNA) -- Kim Jong Un, chairman of the Workers' Party of Korea, chairman of the State Affairs Commission of the DPRK and supreme commander of the Korean People's Army, visited the Kumsusan Palace of the Sun on the occasion of the 73rd anniversary of the WPK. A floral basket in the name of the Central Committee of the WPK was placed before the statues of President Kim Il Sung and Chairman Kim Jong Il. 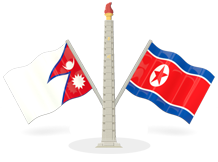 Supreme Leader of the Party, state and army Kim Jong Un extended deep respects and the best wishes to the statues ofKim Il Sung and Kim Jong Il together with other participants. At the halls where the great leaders lie in state, Kim Jong Un paid noble homage to them in humblest reverence. He was accompanied by Choe Ryong Hae, Pak Kwang Ho, Ri Man Gon, Kim Yo Jong, Ri Jae Il and other officials of the Organizational Leadership Department and the Information and Publicity Department of the Central Committee of the WPK.